A memorial service will be held for Carolyn on Sunday March 24th at the First United Methodist Church of Griffin at 2:00 PM with a reception to follow. In lieu of flowers, donations may be made to the First United Methodist Church of Griffin, 1401 Maple Drive, Griffin GA 30224; or to the Griffin Area Concert Association, 1131 Skyline Drive, Griffin GA 30224. Captain Harr invites as many of you as are able to attend and celebrate the life of his wife Carolyn. 03-21-2013 We lost her at 11:53 yesterday as she had been at the local hospital for a procedure we have had to have done on a regular basis on Tuesday. While driving her back home Tuesday about 16:00 she seemed okay but as I got out to help her up the steps she dropped down in the car seat, and was not able to talk or react to my voice. I tried to call as many as I could yesterday (after losing her) and forgive me for the impersonal manner I am sending this out but I would like you all to know (and attend if you can) so am this sending it off. It will be in the Griffin Ga paper and two newspapers in Missouri (Mexico & Centraila) tomorrow and Saturday. 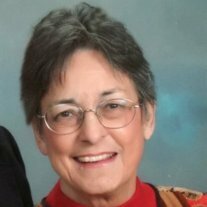 Carolyn Sims Harr of Griffin, Georgia passed away on March 20th from complications due to liver cancer, surrounded by her friends and family, she was 68 years old. Born in Mexico, Missouri to Jennie Pearl and Charles Fred Sims, Carolyn went on to graduate from Central Missouri State with a BA in English in 1967 and spent a brief period as a teacher until she married her college sweetheart, Mike, later that year. Choosing to leave her profession of teaching, Carolyn became a homemaker and mother to two children, a son, Matt, and a daughter, Meredith. Community involvement was always very important to Carolyn. She was an active member of the First United Methodist Church of Griffin and became a beloved member of the Dunkers Sunday school class with whom she shared many experiences and memories, while helping to better their community through outreach projects. Carolyn was also involved in several other community organizations, many times as president, including the Utility Club, the Newcomer's Club, president of the Election board, president of the Community Concerts, the United Methodist Women's group, the Garden Club, Bridge Club, the Love Circle FUMC, and a founding member of the Sicos where she formed some of her closest friendships. As her children aged, Carolyn became close with many of their friends, often being called a "second" mother by many who often found her warm and caring nature to be invaluable. Always quick with a laugh, Carolyn was kind, loving, and always put the needs of others above her own. In her later years, she found the most joy in spending time with her three grandsons, Dylan, Edward, and Charles. Her smile would beam the brightest when they were around and watching them grow up was a constant source of joy for her. Carolyn will be greatly missed by her family and many close friends with whom she shares so many memories, immense love, and joyful experiences. She is survived by her husband of 45 years, Michael Harr of Griffin, Georgia; son, Matt Harr of Atlanta; daughter and son-in-law, Meredith and Tommy Doyen of Pensacola, Florida; mother, Jennie Pearl Sims of Centralia, Missouri; Sisters, Sue Utterback of Mexico, Missouri and Marilyn Davidson of Tazewell, Virginia; and her three grandsons. She was preceded in death by her father, Charles Fred Sims.